Final Fantasy XIII Trainer. Final Fantasy XIII is a role-playing video game developed and published by Square Enix for the PlayStation 3 and Xbox 360, and later for Microsoft Windows. Released in Japan in December 2009 and worldwide in March 2010, it is the thirteenth major installment in the Final Fantasy series. The game includes fast-paced combat, a new system for the series for determining which abilities are developed for the characters called “Crystarium”, and a customizable “Paradigm” system to control which abilities are used by the characters. Final Fantasy XIII includes elements from the previous games in the series, such as summoned monsters, chocobos, and airships. The game takes place in the fictional floating world of Cocoon, whose government, the Sanctum, is ordering a purge of civilians who have supposedly come into contact with Pulse, the much-feared world below. The former soldier Lightning begins her fight against the government in order to save her sister who has been branded as an unwilling servant to a god-like being from Pulse, making her an enemy of Cocoon. Lightning is soon joined by a band of allies, and together the group also become marked by the same Pulse creature. They rally against the Sanctum while trying to discover their assigned task and whether they can avoid being turned into monsters or crystals at the completion. Wikipedia®. Development began in 2004 and the game was first announced at Electronic Entertainment Expo (E3) 2006. 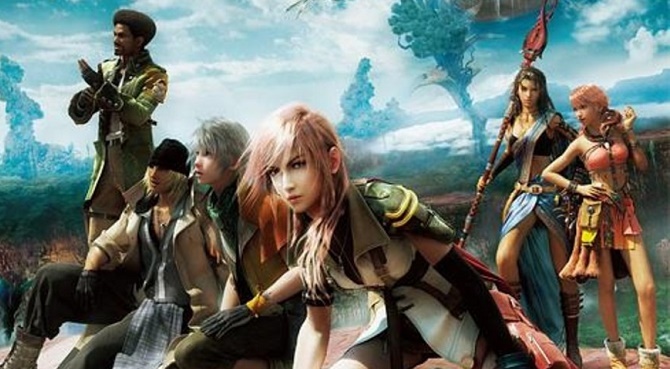 Final Fantasy XIII is the flagship title of the Fabula Nova Crystallis collection of Final Fantasy games and is the first game to use Square Enix’s Crystal Tools engine. 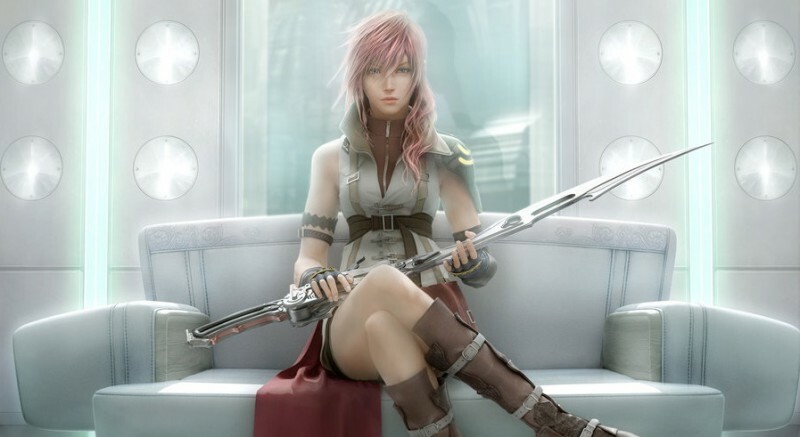 Final Fantasy XIII received mostly positive reviews from video game publications, which praised the game’s graphics, presentation, and battle system. The game’s story received a mixed response from reviewers, and its linearity compared to previous games in the series was mostly criticized. Selling 1.7 million copies in Japan in 2009, Final Fantasy XIII became the fastest-selling title in the history of the series. As of January 2013, the game has shipped 6.6 million copies worldwide. A sequel titled Final Fantasy XIII-2 was released in December 2011 in Japan and in February 2012 in North America and PAL regions. A second sequel, titled Lightning Returns: Final Fantasy XIII, which concludes Lightning’s story and the Final Fantasy XIII saga, was released in November 2013 in Japan and in February 2014 in North America and PAL regions. Nomora states that this story is not the norm for final fantasy, it will be a battle for the last crystal. the outcome will usher in a new era. The story will be dark and not a good vs. evil sort of game. The Video shows a modern, dark city in which a young man is sitting in a thrown. He apppears to have little care for what is happening outside the palace walls, until he gets up. He has to fight of thousands of soldiers with the aid of 12 swords. His family is the last in the world with possesion of a chrystal. In the newest trailer he sits in the back seat of a car listening to the radio which says how two countries have come to a treaty about peaceful use of crystals. This city is a isolated kingdom, It is far more advanced than the world around it. It is protected by the magic order. The kingdom is protected by the magic order. Trainer for the role-playing game Final Fantasy XIII, you can use it to activate these essential Cheat Codes: Infinite Health, Infinite ATB, One Hit Kill, Infinite CP, Infinite TP, Infinite Money, Infinite Items, Infinite Mist Time, Super Speed, BulletTime. Note: This cheat tool is for the original version v1.0 of the game Final Fantasy XIII.